Charles Hood is an agent with British Intelligence. Take a former champion amateur boxer, throw in a runner with near Olympic speed, a marksman who actually competed in the Pentathlon a decade earlier, and a competitor in the two-man bobsled World Competitions. Throw in a cosmopolitan air, clothes from only the best tailors and boot-makers, and exquisite tastes in wine, art, and, of course, women. Naturally, he is quite well off, negating the need to work a normal job. Have him work anyways but with the cover of buying for even richer people rare paintings and sculptors. Hood is ruggedly handsome with dark brown hair with a slight curl to it and dark grey eyes. He stands just over six feet tall weighing 177 lbs and is in excellent physical shape even though he is probably in his early 40s at the start of the series. To cap it all, have him travel the world buying and selling priceless pieces of art, all while doing the odd clandestine work for both the British Secret Service and the Foreign Office. That is Charles Hood, spy extraordinaire. Did I mention he is noted in Who's Who, noted for being a sportsman and art connoisseur? What isn't mentioned there, though, is the fact that, even as he does work for MI-6, he is also the key agent for a group called the Circle, comprised of the richest men in Europe and dedicated to keeping the peace. War brought uncertainty and danger, bad for business. Peace opened markets and allowed profits to be made without the risk of losing it all. To help keep the peace, the Circle worked behind the scenes. When action was called for, Hood came in. Hammerhead is the nickname, never used to his face, of Espiritu Lobar, a world-class smuggler of state's secrets. The Circle sends Charles Hood to put a stop to the man's activities. Two lovely young women, identical twins, have worked diligently in the Files section of the Circle, having access to the most secret documents. Now one is routinely disappearing for days at a time and Charles Hood is ordered to track her movements to make sure no secrets are being revealed. Charles Hood goes up against a deadly gold-smuggling gang with an edge - the operations are all being meticulously planned by a super-computer. The influx of very good fake objects of art and antiques has gotten the galleries and auction houses in an uproar. Charles Hood's investigations leads him to a huge underworld scheme to steal priceless items. Something is happening on the impoverished island of St. Kilda in the Windward Islands near Venezuela. As a former colony, this is interesting to the Circle but no one is allowed in. Charles Hood is ordered to find a way to figure out what is going on. After a mission in Panama, Charles Hood is vacationing in Nicaragua and ready to head for home when he is delayed by officials wanting to know what he knows of the death of Hood's friend in the area. Hood knows nothing but is determined to remedy that. Naturally, Charles Hood is too good to be believed. Once you get over that, the books are a lot of fun. 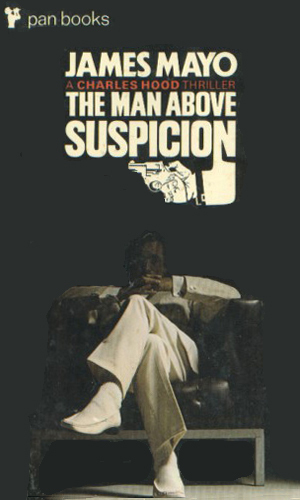 Written to be about an agent who would put Bond to shame, they are over the top at every turn and yet still manage to not become a caricature. That's not easy to do. Hood is far too full of himself but since he gets out of every scrape without much trouble, maybe he deserves to be. He does meet interesting bad guys and not every woman decides she must have him - some think killing him is in order. The film mentioned above is bloody awful, whereas the books are quite good. 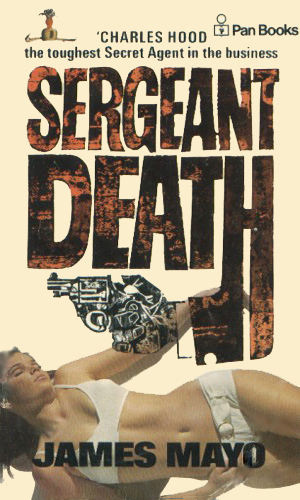 The plots, the pacing, the subsiduary characters and the narrative style are all excellent. Hood is the problem: I can never get a handle on him, and he seems somehow colourless. A bit like Bond in the first couple of Fleming titles. But then maybe that was why Bond caught on? Enough space there for the reader to put themselves into the spy's shoes without too many distracting characteristics? Anyway, by the time Mayo did it, that vacancy had been filled. So although I enjoy these, they can seem a little insubstantial after the event. Apparently, Mayo had naval and intelligence links with Fleming, and the two men knew each other? Maybe it was the background, then, that gave them such a similar approach? 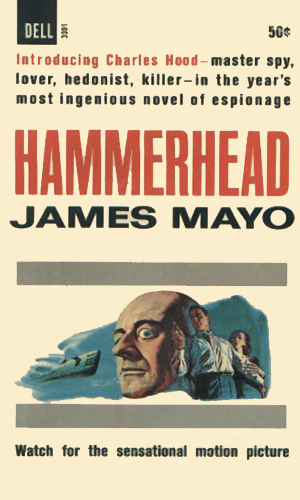 I've read all of Mayo's Charles Hood novels and he is far and away the best of the Bond impersonators that arose in the mid-sixties. 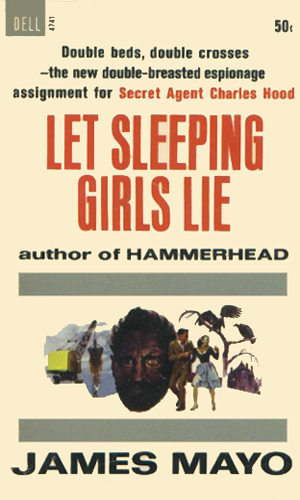 The plots have the out of worldlyness tinged with authenticity which Fleming would have appreciated, the girls are uniformly gorgeous, the villians are a dispicable lot, the action horrific and vivid. Mnay of the henchmen have an element of the grotesque that proves instantly memorable: paraplegic gunmen, whip-cracking tough guys, elephantitus sufferers, deformed bird-men, throat hung-scarred antagonists. Through all of it Chaarles Hood is the bon viveur to out-cool them all, a hard man with an artistic bent, who sometimes works for the British SIS. The only down side to these stories are the finales which often seem anti-climatic compared to what has gone before. 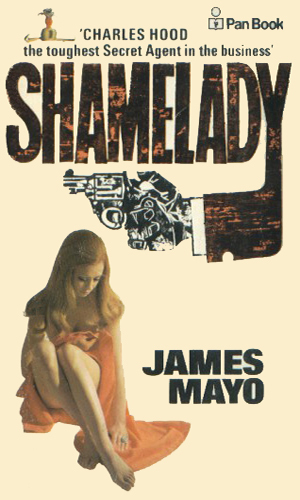 The final novel sees Mayo revert to the first person narrative that inhabits most of his other novels and it is by far the weakest entry into the series. If Mayo had continued these adventures in the clipped fashion he'd started the first four, I'm sure Charles Hood would have lasted well and successfully into the seventies.